At the Jean Lafitte House in New Orleans’ famed French Quarter, you will be exactly where the action is whether your trip is during the Mardi Gras celebration or any other time of year. Its location, a block from Bourbon Street, the French Market and the Flea Market, is easy walking distance to all three popular destinations, as well as the streetcars to see even more of this iconic city. Staying at the Jean Lafitte House means being able to listen to live jazz music, walk through the streets lined with countless small shops and museums and relive the history of New Orleans from the French and Spanish eras all the way through to the modern day. Frenchman Street, also within walking distance, is the newest home of New Orleans’ famous jazz scene. Whether you love to explore or just love the city, this resort will keep you close to the best shopping, dining, and music in New Orleans. This quiet resort still manages to offer you a peaceful retreat during your stay with studio, one, or two-bedroom timeshare units that will accommodate between two and six guests. 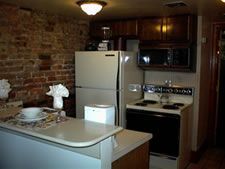 Rooms include a partial kitchen with a stove top and microwave, air conditioning, cable TV and free wireless internet. 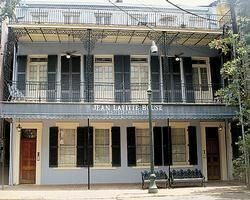 These New Orleans timeshares for sale at Jean Lafitte House offer you a peaceful retreat during your vacation, while still letting you experience the very best that the area has to offer. 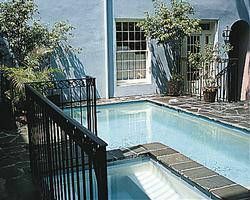 In addition, the Jean Lafitte House has a courtyard with an outdoor pool if you need to cool down after a long day of exploring. The front desk is open each day if you have any questions, and with only twelve rooms, the entire atmosphere is that of an extended family, not a large impersonal hotel. There is no better way to enjoy the Big Easy than to place yourself at the very center of the French Quarter with a timeshare for sale here at BuyaTimeshare.com. With plenty of shopping, dining, and live entertainment just around every corner, this is an ideal way to get the most out of your trip. Contact Jean Lafitte House Specialist Today!